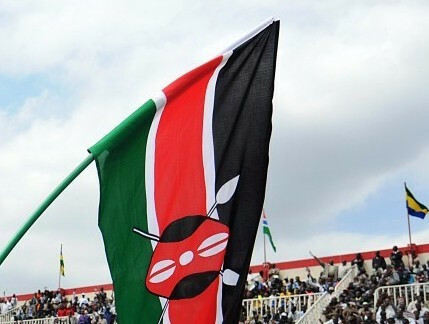 A full audit of Kenya's spending at the Rio 2016 Olympic Games has been called for after a damning report was studied by the African country's Parliament. The Parliamentary Committee on Labour and Social Welfare wants the auditor general Edward Ouko to get involved due to "massive irregularities in expenditure", according to All Africa. The report was commissioned by Kenyan Sports Minister Hasan Wario and compiled by the Rio de Janeiro 2016 Olympic Games Probe Committee, following numerous alleged problems surrounding the country's participation in Brazil. Wario formally dissolved the National Olympic Committee of Kenya (NOCK) following the Games, with all senior officials accused of wrongdoing except for chairman Kipchoge Keino, a double Olympic gold medallist in athletics. The officials are accused of key accommodation and travel mishaps, including the "mishandling of accreditation", as well as kits which allegedly never reached athletes. The report has also alleged that officials within Kenya's Sports Ministry embezzled money meant for athletes in Rio. In addition, it is claimed that Chef de Mission Stephen Soi carried cash in the Brazilian city to sort out accommodation and accreditation, but that there is no record of any costs incurred. A deal with Kenya Airways for travel to Rio de Janeiro has been heavily scrutinised, with the report suggesting that Ouko become involved. This has now been backed up by the Parliamentary Committee who have reportedly given him three months to undertake a "detailed forensic audit of any money allocated from the consolidated funds towards facilitating the Rio Olympic Games and report before the Committee of the National Assembly". The Committee also wants the Sports Ministry to provide an "itemised budget" showing how money set aside for rewarding Rio 2016 athletes will be used. This comes after athletes said bonuses they were supposed to receive had not reached them. The Sports Ministry department have also been asked to review and amend the country's 2013 Sports Act, to ensure good governance. The scandal has left a dark cloud over Kenyan sport, with the probe revealing that the health of athletes was at risk because of a lack of proper medical care in Rio. According to the Daily Nation, the Probe Committee report suggests that the majority of athletes made use of physiotherapists at the Olympic Village’s polyclinic as opposed to the one provided for them. It is claimed the absence of physiotherapists Victor Bargoria and Peter Nduhiu, who were suspended by Athletics Kenya, worsened the situation. The pair, considered by some athletes as the best qualified to serve their needs, were taken off the travelling list due to "internal politics" in the medical team.